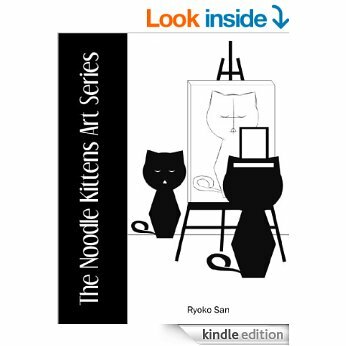 Review – The noodle kitten art series – Ryoko San. This is an easy book to review. Inside is Ryoko’s version of famous paintings starring cats as the main focus. On the second page of each drawing he gives artist name and painting title of which he was inspired along with a little info on that painting. Cute, colourful and a little informative.